Have you been drawn to neutral colors and outfits lately? While brights will never be out, the shift towards normcore (basic neutral, average-looking clothing) has people digging out and pairing together neutral after neutral pieces. I use to think wearing neutrals were so boring, but after feeling the shift myself, it's been super fun to challenge myself to still wear something that looks styled, put together and unique, even if the color pallet was pretty simple. 1. 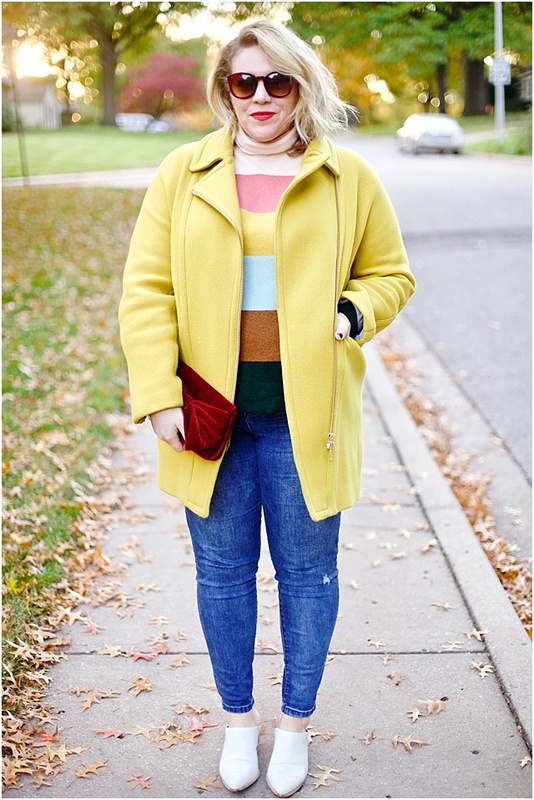 Psyche is one of my favorite style bloggers. Her outfits are always on point. 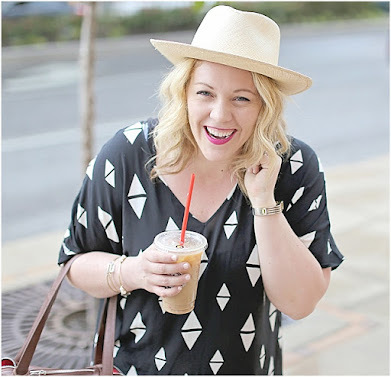 I love this chic, flirty and perfectly accessorized outfit of hers (see more of it here)! When you're wearing neutrals - you have the opportunity to pile on more accessories and add a bold lip and shoe with no worries of overdoing it! 2. Talk about a luxe-looking outfit! You might not even notice the all neutral thing going on with Melanie's pretty look. She rocks winter white perfectly with subtle varying shades and embellished pants. This outfit would be so fun for a girls night out or date. 3. Neutrals are a great base for letting patterns pop. 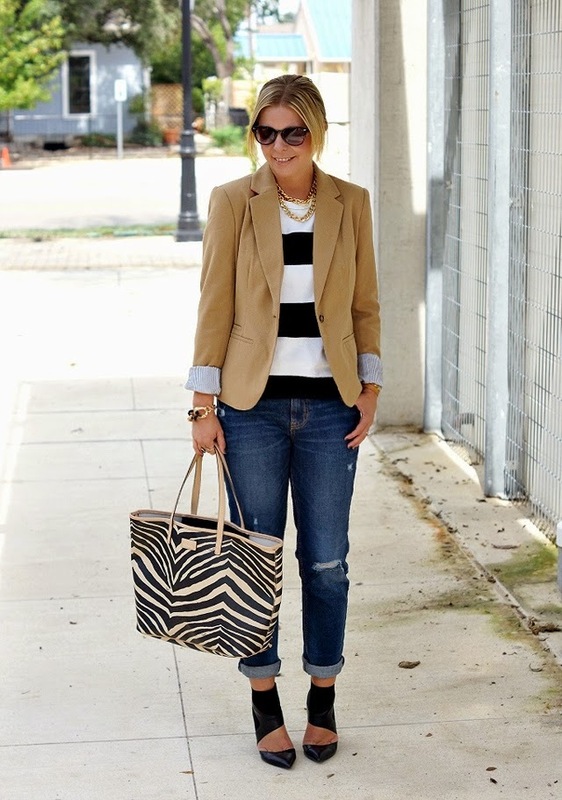 Shanna's black and white wide stripes are bold and bright next to her warm, camel blazer (which honestly, is a must in any woman's closet - similar option here). Her pumps and bag just pull the look together and she's ready for anything. 4. I love Erin's layers here! She unexpectedly layered a cape scarf over her leather jacket, and the white base makes these wintery pieces totally pop. She wears really nice quality pieces to make everything seem really rich. This is such a perfect outfit for work to date! 5. As we've established, I've been loving neutrals myself. I had fun styling an unexpected accessory in this outfit (as shown in more detail here). Mixing an oversized bow-tie and pops of gold made this work outfit a bit more edgy. 6. Another reason I love neutrals? It's the perfect playground for mixing patterns just like Veronika is doing with this cute stripe + polka dot look! 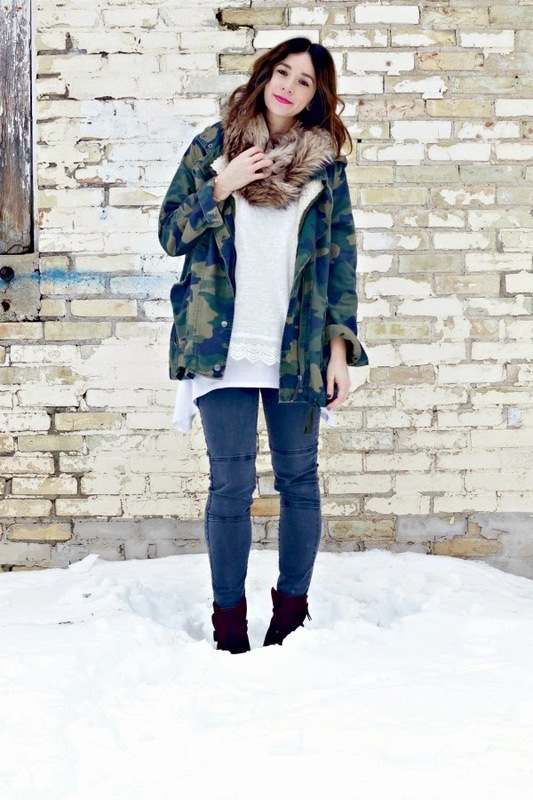 She is actually a pro at styling neutral colors and has tons of cute outfits, such as this. 7. Caitlin looks polished and ready for anything in these black pants and light-neutrals. Talk about a perfect day to night outfit with a statement. Those earrings and her layers transform this outfit from basic to stunning. 8. Meagan is one of my favorites for coming up with unique pairings and trying new things. I adore her style and love that she has fun with fashion. You don't even notice this outfit is composed of neutrals because of all the different textures and pop of pattern. 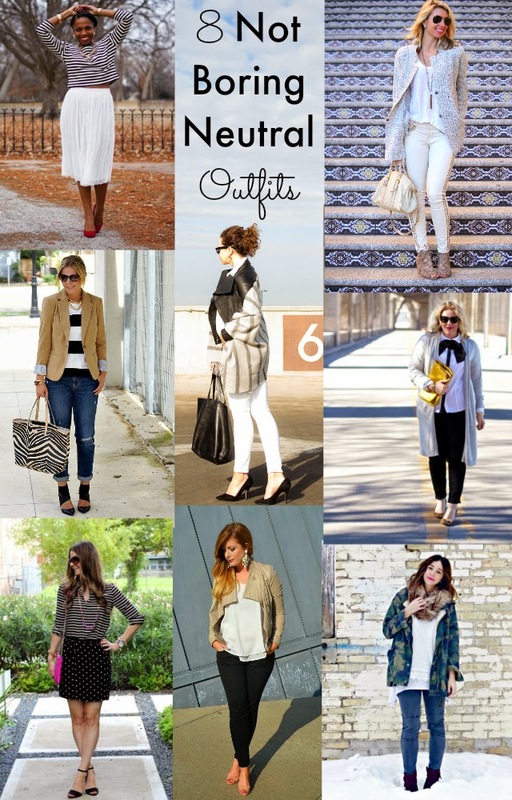 Have an awesome neutral outfit of your own or inspiration to share? I'd love to see it! Tag me on social channels (@ChasingDavies) or link to it in the comments below!